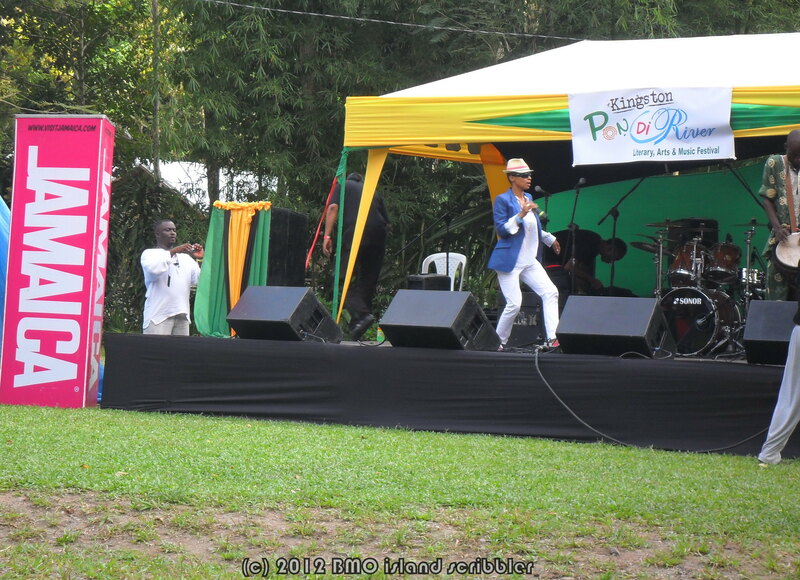 Jamaica to the World: Olympic Victory “tun up” Half Way Tree! 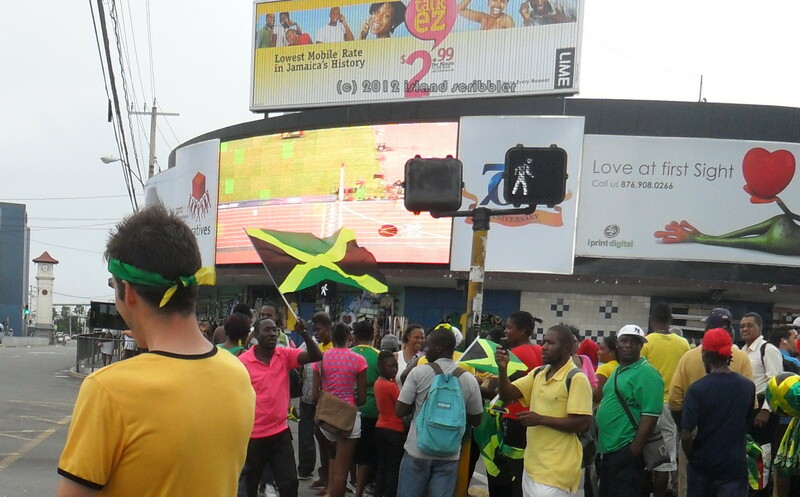 Jamaica was the place to be yesterday as the country waited in painful anticipation for the results of the men 100m finals. Half Way Tree erupted in a wave of euphoric screaming and total chaos as their beloved Bolt and Blake cleared the finish line and sealed Olympic Gold & Silver. What a tribute to the Land of Wood & Water on the eve of its 50th year of Independence! Check out the video for a peek at jubilation on Jubilee’s eve! 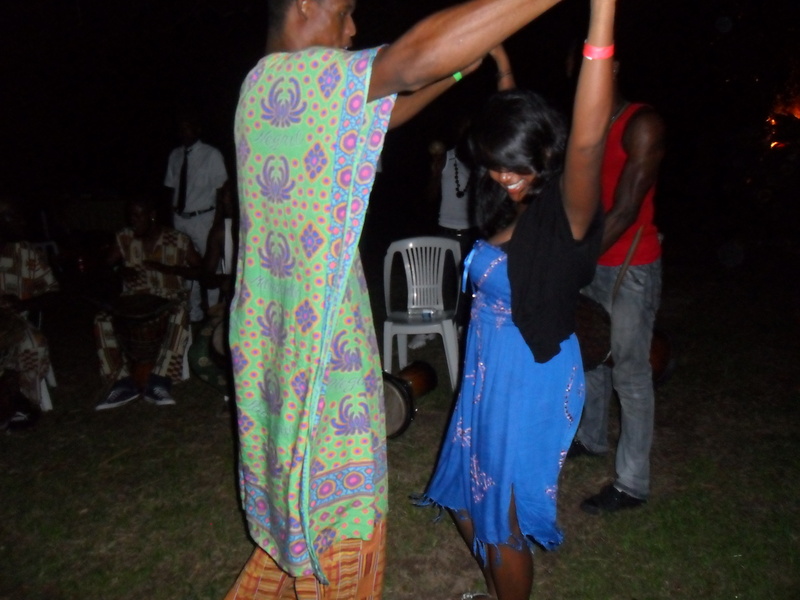 Forgive the shaking – I was also celebrating while taping! 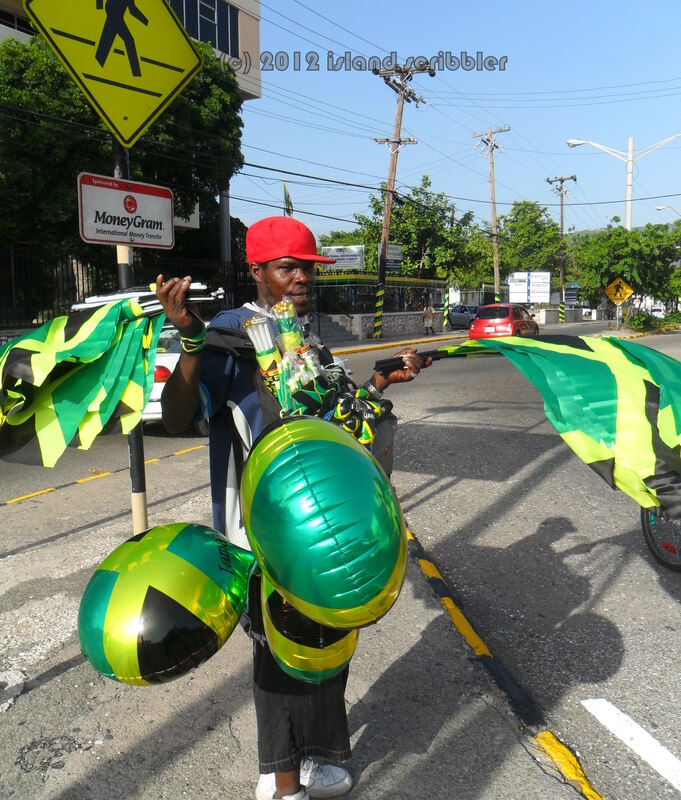 🙂 Also check out these photos for patriotism – Jamaican style! 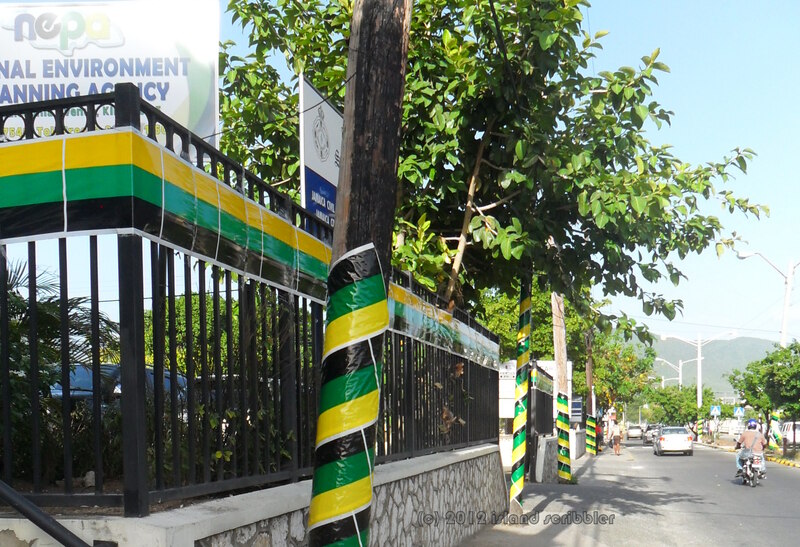 Lightpoles and fences get a Jamaica 50 makeover! 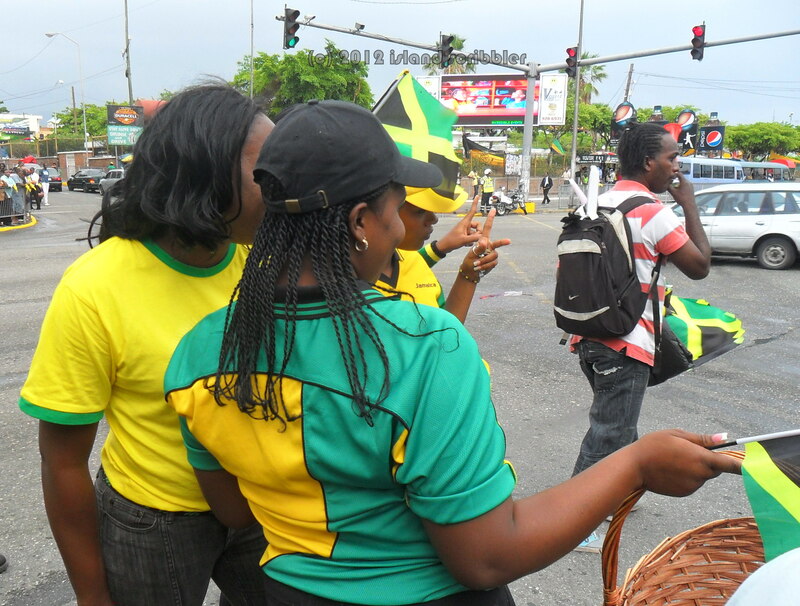 The Jamaican ladies represent their country – decked out from head to toe! 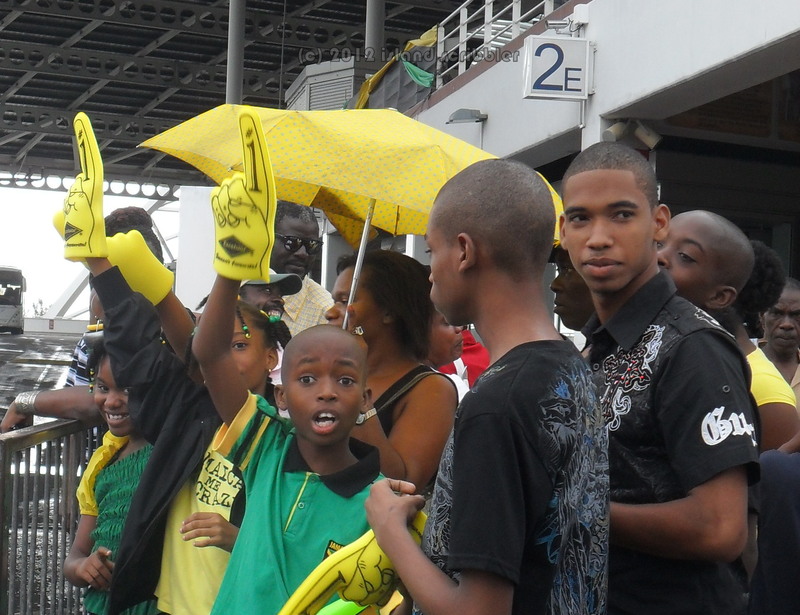 Jamaican youth are in the midst of the celebrations too! 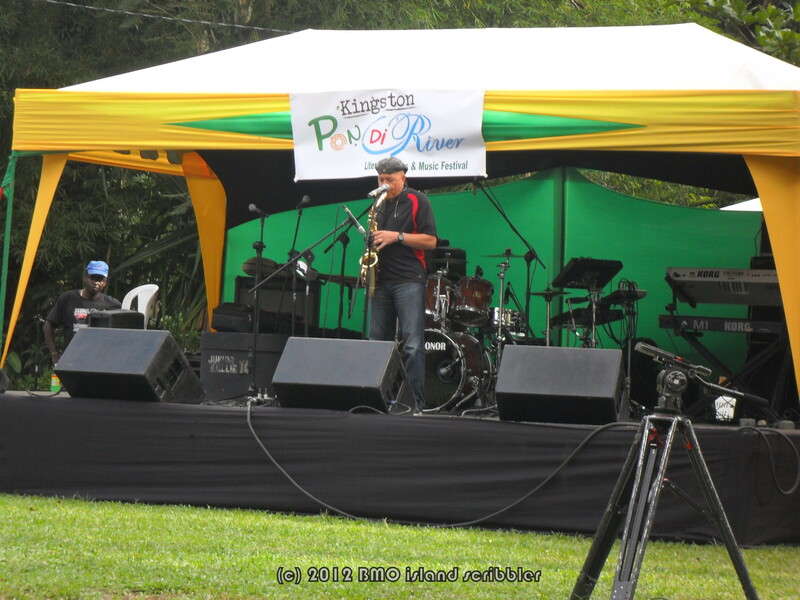 When in Rome err Jamaica – do as the Jamaicans do! This stylish Patriot shows the ladies how to do it! 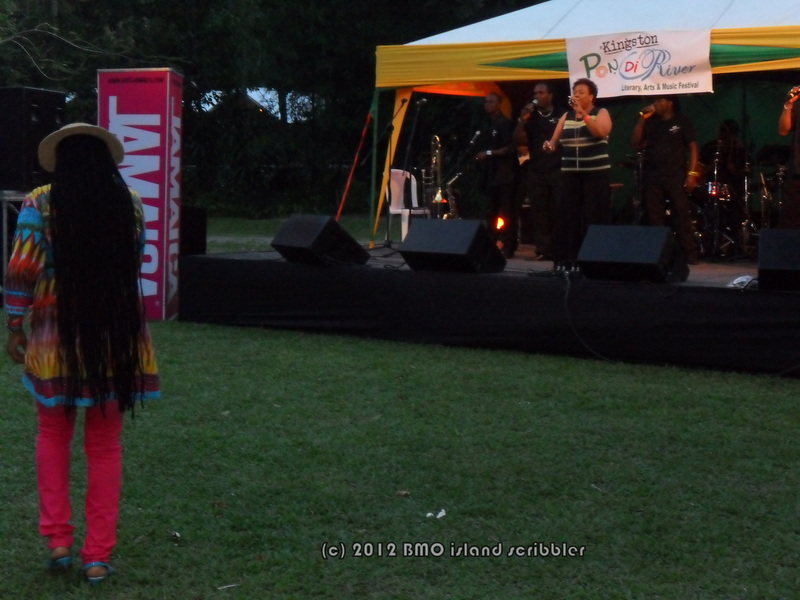 This Jamaican man shows the ladies how it’s really done!